September 12, 2018 — Comments are off for this post. Head’s up! Why overarms equates to drowning. When I first started teaching swimming as a casual swim teacher in the late 90's, I worked at many different schools with many differing programs. 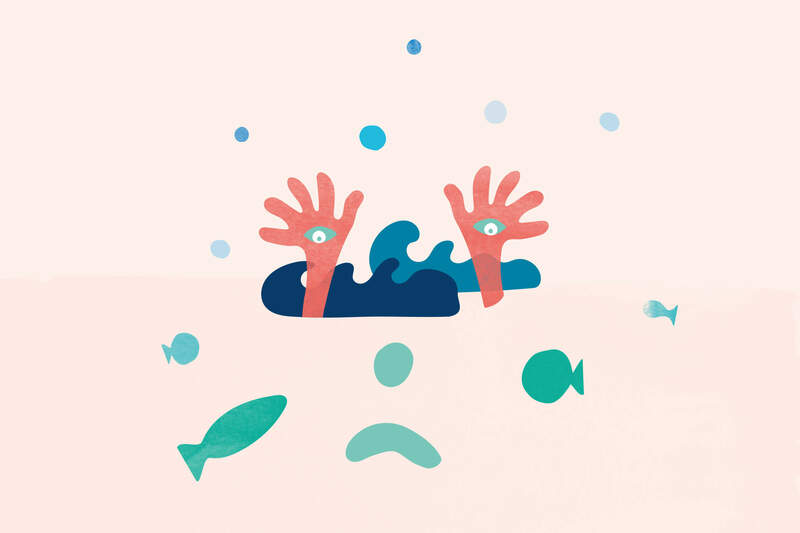 All of them had one thing in common: a focus on teaching overarms – the school of thought that swimming happened when children started bringing their 'big over arms' out of the water. Parents beamed so proudly, believing that this was it, our Johnny could now swim! Still, we see it everywhere today with swim schools and parents the world over eagerly updating their social feeds with videos of their own Johnnys and Joans achieving the ultimate prize of overarm swimming. We couldn't have this more wrong. Unfortunately, we've created a culture that actually celebrates a skill that could be dangerous to young children learning to swim. What we don't see, is what happens to these little kids swimming over arms when they need to take a breath. When children lift a limb out of the water, their centre of buoyancy will drop – and what happens? They sink! Trying to stay afloat with an arm above the water also causes fatigue for little swimmers. Think about it... why do all of our survival strokes maintain our limbs under the water? To conserve energy. So, one has to ask – why do we teach children to lift their arms as high as they can and as soon as possible? I believe in children learning how to relax in the water. How to move and discover their buoyancy. How to float before adding movement. SO, YOU MIGHT BE SITTING THERE WONDERING, WELL SASHA, WHAT IS SWIMMING THEN? IS IT FREESTYLE? DOG PADDLE? BUTTERFLY?! I believe it is simply travelling through water, safely and confidently. Knowing how to breathe and float and move – without getting stressed. This is what we are all about at In The Deep Swim School. We are filled with joy when little swimmers in our Red Tails program achieve our benchmark skill of swimming relaxed and confidently, the length of the pool, all by themselves. We do not help them at all – in fact the teacher needs to be out of the water – as our children swim and float their way to the other end of the pool. What do you do if you get tired? What do you do if you need to take a breath? Do you get scared in the deep end? They know to float on their back, relax and go slow, the deep end is the same water as the shallow end and we just keep swimming. Our safe place is the wall and we can all swim there, whenever we need to. Children need to know how to make decisions on their own in the water. It takes only seconds to panic and react badly, and this is why teaching overarms too early on can be dangerous. Can they swim the length of a pool relaxed, not stressed to get to the side? Do they confidently know when to make the decision to breathe by themselves? Are they relaxed in deep water and just keep swimming nice and slowly? Do they enjoy swimming in and under the water?